Last weekend I travelled up to Orlando to visit a honey farm despite my irrational fear of bees. Why, you ask? 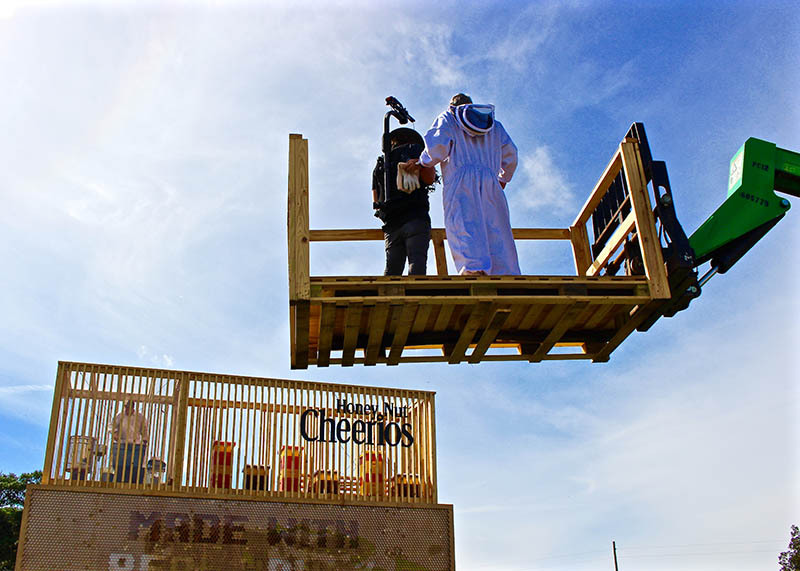 Well, Cheerio’s has made it a point to only use the freshest golden honey found within their “Living Billboard”. When I first heard the term “live billboard” I envisioned a huge sign on the side of the highway marching around. I was happy to find out that the giant sign would not, in fact, be stomping along the highway, but be filled with over 100,000 little honeybees making delicious golden honey before your eyes. I had to go check it out for myself. The Farm is a rural, beautiful area straight out of a movie. From horses running around to alligators in the lakes (I would take my chances with either of them before I’d get too close to those bees), the farm was picturesque. 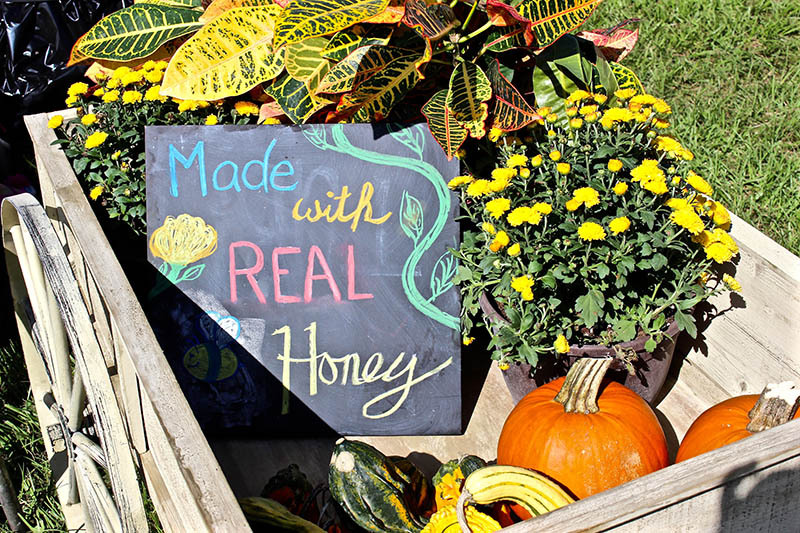 The beekeepers are a down-to-earth couple who have a very real view of the creation of honey that made it even more special to taste such a local creation. 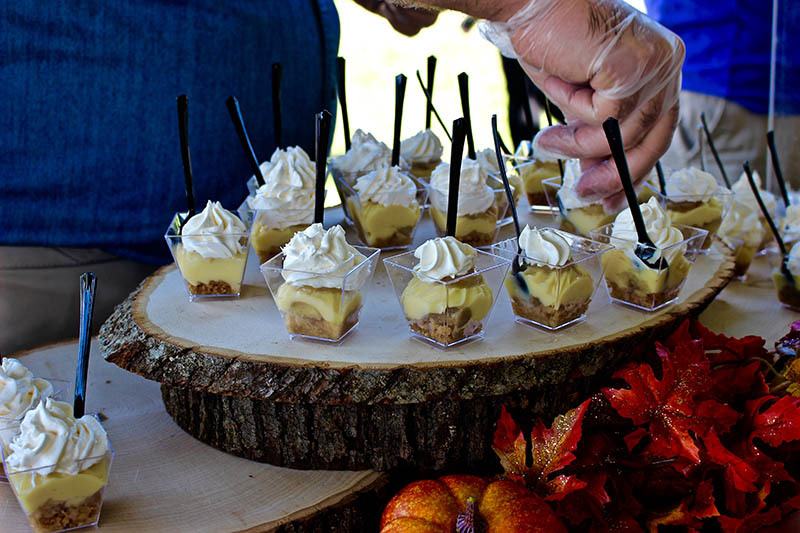 We all know the phrase “farm to table”, but this was a whole new level. 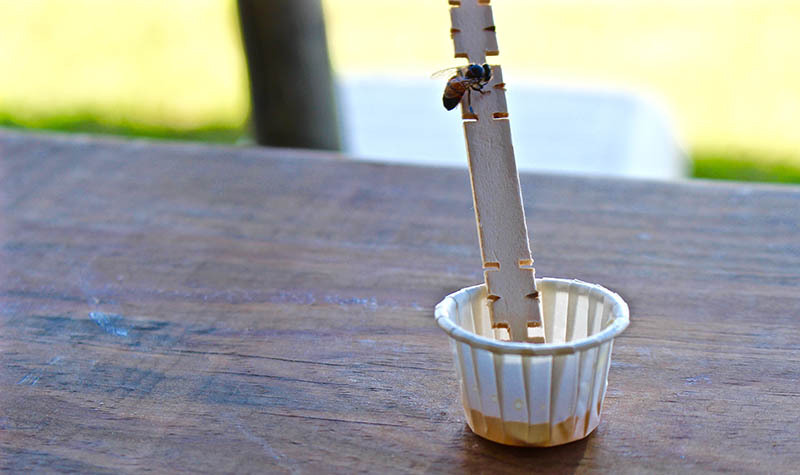 We were able to try the honey coming directly from the bees in the billboard and at one point I actually had a bee sitting on my honey stick….just chillin’ there looking at me like “Yeah, I worked my a** off making this for you so you better like it”. I named him Joe. 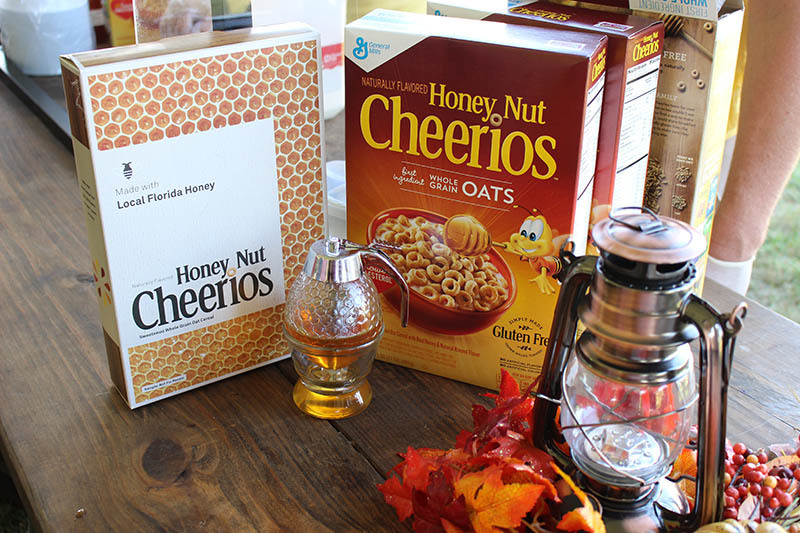 Not only did we get to try the honey but we were also able to try the Cheerio’s limited number of boxes containing the local honey. Kids were running up for seconds and thirds like it was straight out of a commercial. They also handed out two delicious treats containing the honey which ran out way too quickly. Mostly because I ate like 15 of them. 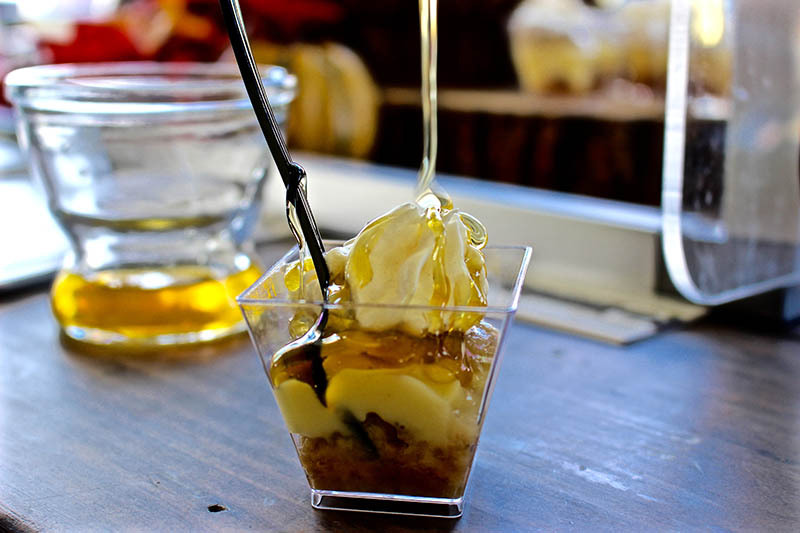 The treats included THE MOST INCREDIBLE Honey Nut Cheerio’s Banana Cream Pie Shot which you can make at home using the recipe at the end of this post, and a Spanakopita which is similar to a little pastry filled with vegetables and cheese. YUMMM. Both creations were made by the chefs at The Osprey Tavern located in the heart of Orlando so stop by if you’re ever in the area! 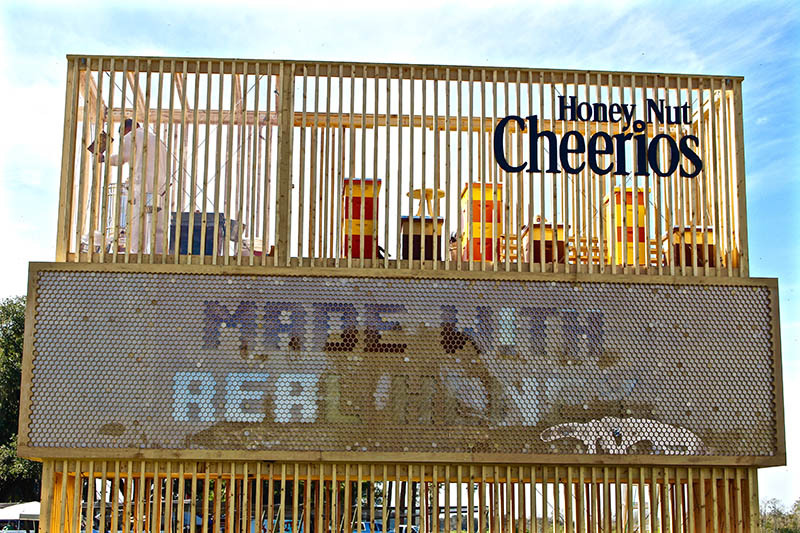 The beautifully structured billboard was poured with the delicious honey to fill the “Made With Real Honey” sign. If you’re ever in Orlando, make it a point to go check it out. 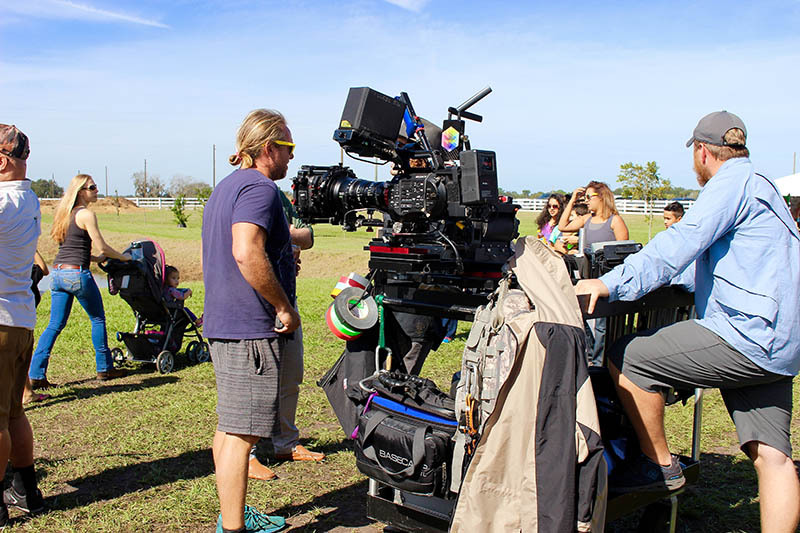 The commercial, which will be finished in 2016, is designed to capture the exceptional work of the family-owned bees and intended to show America the importance of the farm-to-table taste. With dedication like this, who would eat any other cereal? I couldn’t be happier to be sponsored by such a great and real company! This is a sponsored post. I was paid for my time and travel, but all opinions are still my own. Place Cheerio’s in a food processor and pulse to a crumb consistency. Transfer Cheerios to a bowl, add the brown sugar and salt and stir to combine. Add the melted butter and stir until well combined (small clumps are okay). Spread onto baking sheet and bake at 325 degrees F for about 8-10 minutes, tossing every few minutes. Let cool. Spread Cheerio’s onto sheet pan lined with parchment paper. Place in 325 degrees F oven and toast for about 5-8 minutes, until lightly toasted. Immediately place in large bowl, and add milk. Let steep for 30 minutes to infuse milk with the cheerios flavor. Pour the Cheerios-infused milk through a strainer, and reserve 4 cups for the pastry cream. Pour the reserved milk into a pot and place over medium heat. Bring to a simmer. While milk is heating, place sugar, cornstarch, and salt into a large mixing bowl. Whisk together until there are no lumps. Add both the eggs and yolks and whisk to completely combine. 6. When milk is simmering, carefully pour the milk into the egg mixture, and immediately whisk to temper the eggs. Pour everything back into the pot and return to medium-low heat, whisking constantly. When the mixture starts to bubble, cook for a full two minutes more, whisking quickly and consistently. Remove from heat, add butter and vanilla extract. If desired, use a hand blender to smooth out any lumps and strain through a fine mesh strainer. Pour the pastry cream on top of the crust and EAT!